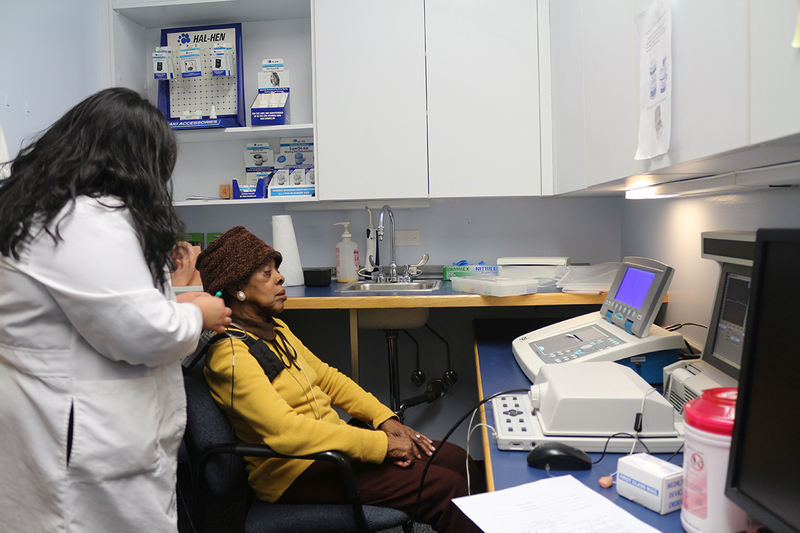 The purchase of a new Middle Ear Analyzer for Chicago Hearing Society’s (CHS) Hearing Health Clinic was made possible by a grant from the Washington Square Health Foundation. The new Analyzer replaced the last remaining antiquated machine, which CHS used for more than 15 years. 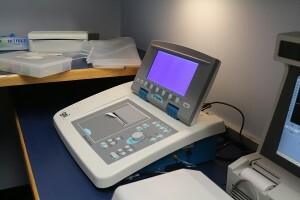 The Middle Ear Analyzer is used to evaluate the function of the middle ear. The middle ear is essential, as it conducts sound from the outer to the inner ear. If anything impedes this sound, it can cause hearing loss. Examples include: ear wax, fluid, perforations of the ear drum, as well as issues with the ossicles (3 bones in the middle ear that are among the smallest in the human body). The equipment helps confirm any problems with the middle ear and the problem’s nature. The majority of CHS patients are living at or below the federal poverty level and receive many services at low or no cost. CHS is vitally important to this community, for without programs like our Hearing Health Clinic, the individuals and families we serve would have few, if any, places to turn. CHS continues to deliver high quality direct services to all who come to their doors in need and they work to ensure that all deaf and hard of hearing people have the opportunity to improve their lives through better hearing. Aside from Tympanometry, the ME Analyzer also evaluates Eustachian Tube dysfunction. The Eustachian tube is the pressure equalizer from the inside of the middle ear to the outer ear. Most people become aware of it when going up in an elevator or airplane when there is a feeling of pressure in the ears. Finally, the equipment can be used to assess the function of the auditory nerves as may be the case of acoustic tumors. When a diagnostic hearing test is performed it is necessary to determine the nature of it meaning whether it is sensorineural (affecting the hearing nerves and generally treated with hearing aids) or conductive (meaning there is a middle ear component and may be medically treated) or both. Patients presenting with the latter two must be followed up medically.